As any office refurbishment specialist will tell you, office chairs are too important to ignore. Depending on the level of comfort and support they provide, they can affect your employees’ productivity, health and disposition. They also contribute to your office’s overall look. That said, you need to take several factors into account when choosing the right office chairs. The Integrated Benefits Institute published a paper relating how lower back pain could affect not just productivity in the workplace, but also how much money business owners spend every year. They estimated that a company loses up to USD 34,600 per 100 employees every year. The expense covers both medical and disability claims, as well as the cost of reduced productivity in the workplace. 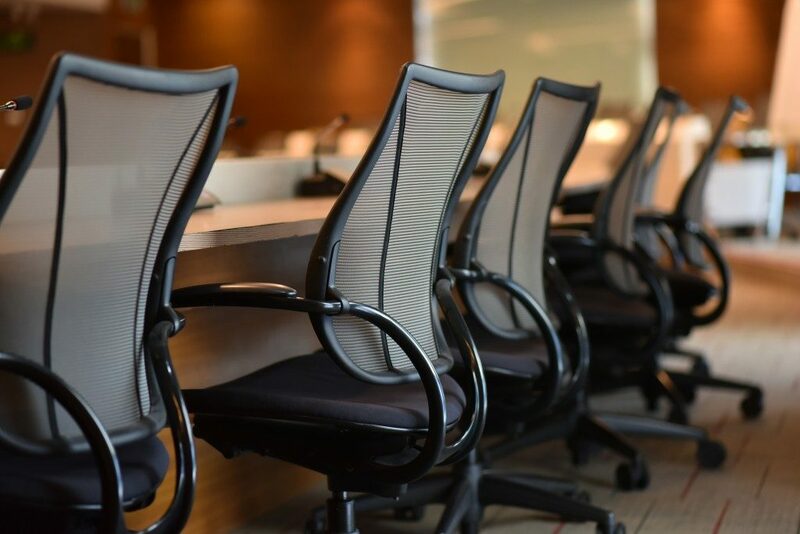 One of the best ways to mitigate the occurrence of back pain among your employees is to give them comfortable chairs, especially if a large portion of their time is spent sitting down. Ideally, the chair must offer sufficient lumbar that can be adjusted to fit the user’s lower back. Different parts of the chair need to be adjustable so that it can be customised to suit its user. Most office chair models can be adjusted in terms of height, but you also want adjustability in terms of seat and back angle, lumbar support, backrest height, and tension control. These details are vital to ensuring that the user is comfortable and supported enough to stay focused on their job. Rigid chairs can be less expensive, but they can be uncomfortable before long. Office chairs can be made from a wide variety of materials, but fabric offers the right combination of comfort, protection, and adjustability. It’s usually the material of choice for the seat itself and the back. Make sure that the fabric is breathable to prevent it from becoming too hot after several hours of use. 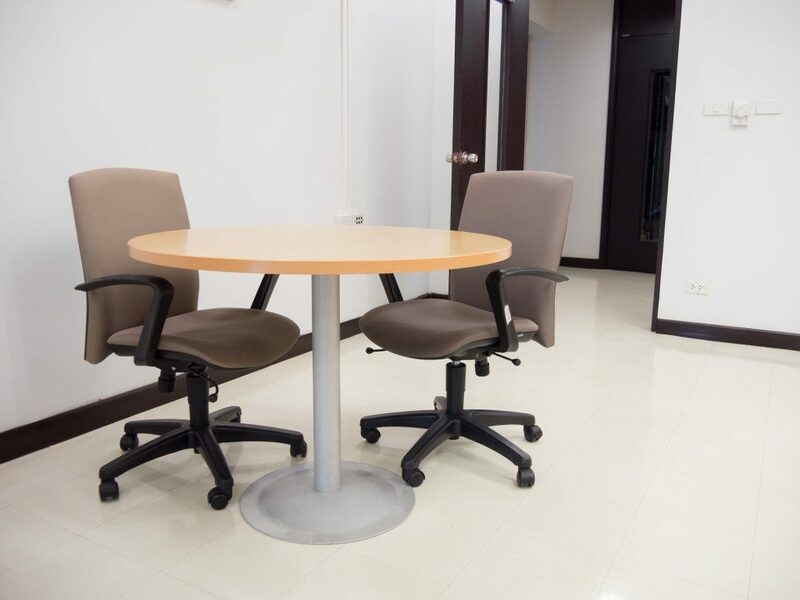 Swivel chairs are best for the office because they allow their users to access different parts of their desk without having to leave their seat or move their chair to a different location. Not only is this convenient but it can also help minimise fatigue in the arms, which can develop from trying to reach faraway objects. You may consider a wheelbase optional, but it offers the same benefits as a swivel base. It allows its users to move to a nearby location with minimal effort, reducing strain on their legs. If your floors are carpeted, do choose wheels that are built for carpets. The best seats offer enough cushioning so that the user doesn’t feel the rigid parts of the chair even after extended use. Experts also recommend choosing seats with a “waterfall” front, one whose edge curves downwards instead of catching the back of your knee, to prevent the circulation in your leg from getting stifled. The seat must also be contoured so that it does not compress your thighs. Your office chair is more than just a piece of standard furniture. Its shape, material, and design have an impact on how well your employees work and how protected they are from adverse health conditions, such as chronic body pain.